Travel to Cairo to see the Egyptian capital’s treasures—all without flying or having to worry about tickets and transfers—on this private 2-night tour by rail from Luxor. 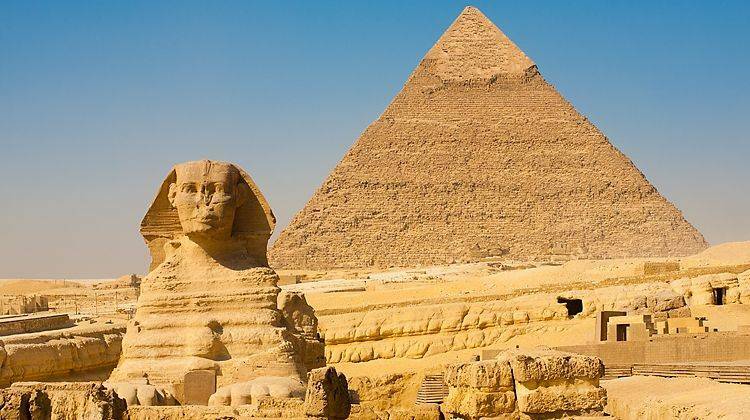 Enjoy the experience of traveling first-class by overnight train, and in Cairo, experience a private tour of the Giza Pyramids, Egyptian Museum, Old Cairo, and more before your return rail journey. Entry fees, lunch, and round-trip hotel transfers are included. At 18:00 you will be picked up from your hotel in Luxor and transferred to Luxor train station for a 10 hour train journey to Cairo. Upon arrival at Giza Station at 7.00am you will be met by a tour guide who will be waiting for you on the platform with a sign of your name then start your day tour visiting Giza Pyramids; The Pyramids of Cheops, Chephren and Mykerinus. 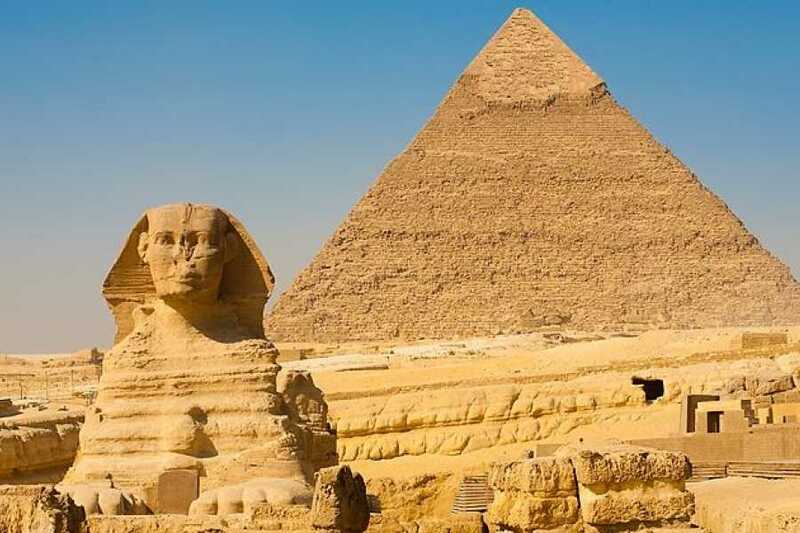 Then visit the Valley Temple, this is the where the Highest Priests mummified the dead body of king Chephren and made his final judgement for his heart, it also the same place where you can get closer to The Great Sphinx where you can take your memorable photos. Next, see the Sphinx as known the head of a Pharaoh with a lion's body, which dates from the time of Chephren the owner of the second pyramid at Giza Platue. After spending your 3 hours visit to Giza Pyramids and Sphinx, stop for lunch included at local restaurant in Giza. Then you continue your day tour to the Egyptian Museum which features artifacts from the Pharaonic period. The museum displays a rare collection of 5000 years of art which is considered the largest most precious collection of Egyptian art in the world. Then you continue your day tour to Coptic or Christian Cairo for a background about the Christian and Jewish heritage through The Hanging Church and Ben Ezra Synagogue. Continue driving to Islamic Cairo, where you will be able to explore Khan Kalili Bazaar, Cairo’s oldest bazaar. Finally around 19:00 you will be transferred back to Giza train station for a 10 hour train journey back to Luxor. At arrival at Luxor train station, you will be met be a representative and transfer back to your hotel in Luxor.